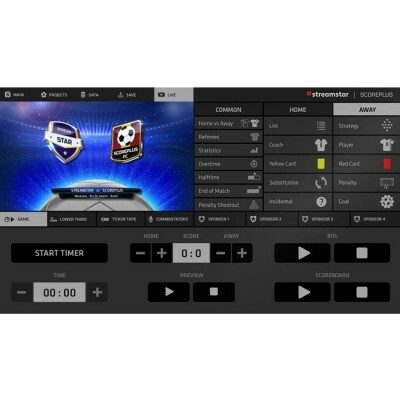 Streamstar ScorePLUS Various Sports Modules is a modular software architecture it allows various sports modules to be loaded into its environment. 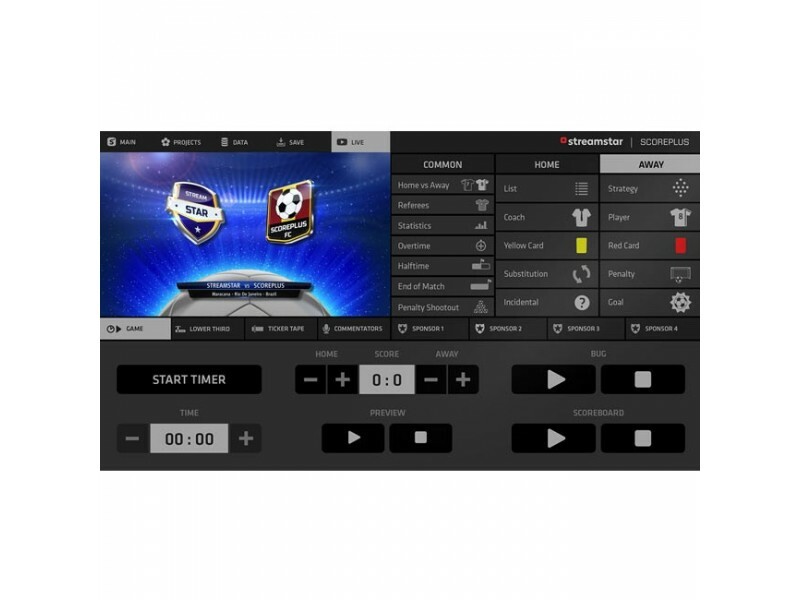 The user if free to choose which sports modules to use. Streamstar SCOREPLUS gives you the flexibility and freedom to do what you want. More and more templates will gradually become available and custom templates can be made-to-order. Streamstar SCOREPLUS runs on a PC notebook with output sent over IP to a Streamstar live production system. The results are the highest quality Network TV style sports graphics made easy and affordable. Beautifully designed, intuitive and efficient. So easy to use, it's a blast to work with.